Shinjuku, Tokyo has always been protected by the Karas, guardians that protect the balance between the world of humans and demons. Without the aid of the Karas, the balance becomes thrown off, putting humanity in danger. A young woman named Yurine and her guardian Karas have long protected the balance between the two worlds, protecting humanity from any demons who succeed in escaping their world. 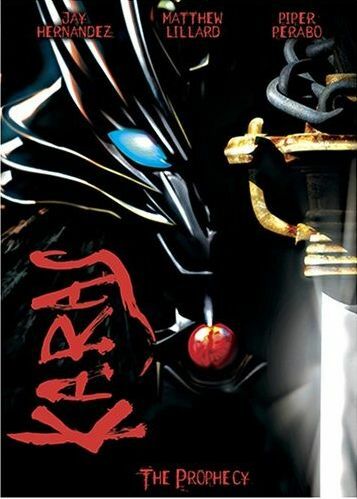 However, humanity forgets and scoffs at the existence of demons, which angers Karas, and he ultimately turns against humanity by creating his own army of mechanized demons used to attack mankind. In the process he takes the form of a human named Ekou. Now, the safety of the human race lies with Otoha, who is next in line to inherit the powers of Karas. Teaming with Yurine, he prepares to prove his worth and ultimately follow his destiny in order to stop Ekou from endangering the balance between the two worlds.